This archive holds all posts form March 7, 2015. Today marks 50 years since protestors marched across the Edmund Pettus Bridge in Selma, Alabama to demand equal voting rights for African Americans. 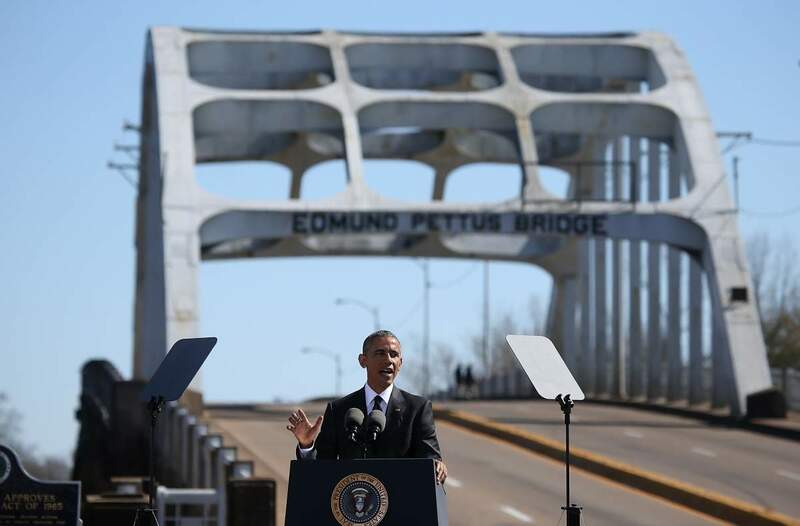 To commemorate this historic event, and re-focus attention on voting rights, President Obama gave a speech at the site of the march and led a large contingent over the bridge. Many people are saying this is his best speech yet and will be one of the historic high points of his of his presidency. If you’d like to do something to support voting rights, you can click this link to sign a petition in support of a new voting rights act amendment.